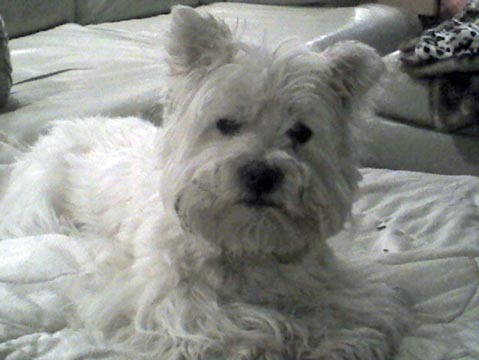 My formal name is LoMar's Wee Winsome McDuff, CGC, better known as Duffy or the McDuff. As you can see, I loved to play in the woods and get into briars, so sometimes I had a funny haircut. 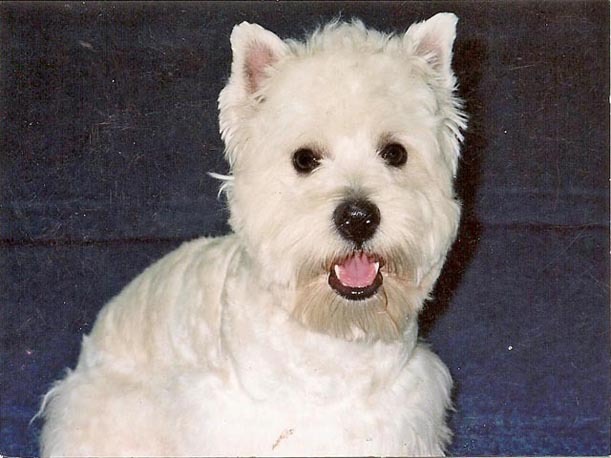 During my life, I earned my Canine Good Citizenship and worked hard at Obedience, but my Westie temperament won out and Mom let me be me. Over the years, I loved travelling to almost all of the lower 48 states, but home was always best. During my later years, I slowed down considerably but loved to go anywhere and here I am on the night I entered the MSU Veterinary Clinic for the final time. 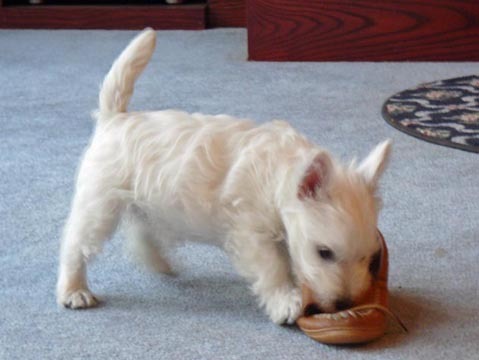 We visited friends and I had a great time with their two Westies, who are in the next picture. But later that night, my little heart and lungs gave out. 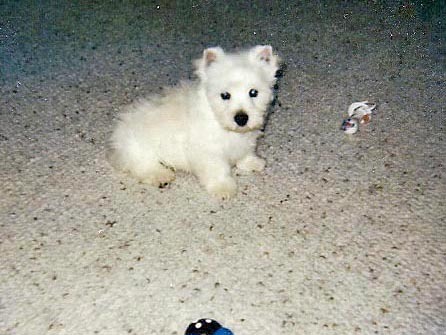 I went to the Rainbow Bridge four days later, on November 4, 2007, in Mom's arms looking for a Cheeto. 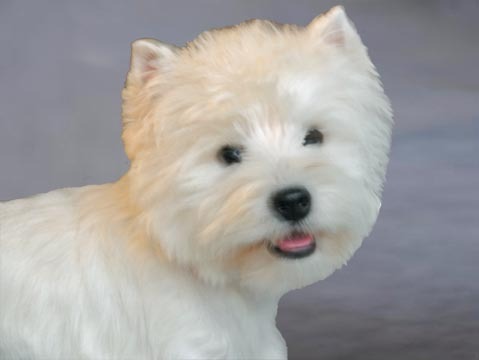 My formal name is Grand Champion GlenLea's Wee Winsome Piper, better known just as Piper. If you ever come to the door of Mom and Dad's house or the motorhome, you will hear how I live up to my name. I also "pipe" very loudly whenever a squirrel or chipmunk invades my territory. Mom is working on breaking me of my piping, but has not been very successful so far. I also have a formal side so Mom created my own page. Mom and Dad found my breeder the same week they lost Duffy and I came home with them the very next day. Sophie was so happy to have me and quickly became like the Mommy I left behind. I spent a lot of time with a very wet coat as she "mothered" me almost non-stop.